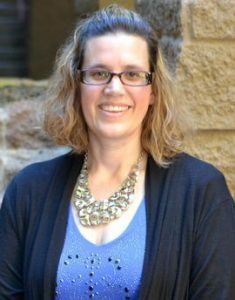 I’m Julie French, CPA and I understand that tax time can be a very stressful time of year for many. At Eaglecrest CPA Accounting and Tax, we do everything we can to eliminate your “tax stress”. Most of our clients send over their information electronically and many mail their items to our office. In most cases, it is not necessary to come to the office to meet. This takes away the stress of many of my clients. Most of them just can’t find time in the day to come to our office to meet about their taxes. For those clients that want to meet face to face to cover the details of their taxes, that is fine too. Building a relationship is important regardless of whether it is face to face or via the phone. A good CPA like me may cost you a little bit more in the beginning but it will pay off in the long run because CPAs are more thorough. Anyone can drop numbers in to software program. An accountant may even put the numbers in the right places. However, a CPA will analyze the situation to look for tax savings opportunities and help you plan for next year – in short, we become your trusted advisor. I once had a client whose former tax preparer had cost her additional dollars in taxes because he didn’t consider accelerating her fourth quarter estimated tax payment to December from January. 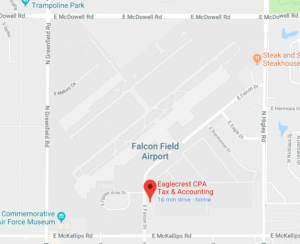 At Eaglecrest CPA Accounting and Tax, we will take the time to build a relationship with you. This relationship will help me to do a better job with your taxes. I will know what I need to know about you and your situation to get you the tax deductions you deserve. Some of my current clients have come to me to do their taxes because they have tried to do their own using tax software and weren’t happy with the results. The results from any tax software are only as good as the information a person loads in. In order to use tax software, you need to know where to put everything and you have to be aware of tax credits and deductions. Unless preparing tax returns is your day job, there is too much to know and it changes every year too. Keeping up with the new tax laws and changes year to year is almost a full time job itself. It is my job to keep current with all of the new tax laws year to year. I will prepare your taxes knowing what I need to know to do the job right. At Eaglecrest CPA Accounting and Tax, we want to be your partner and trusted advisor. We will do whatever it takes to prepare your personal and business taxes correctly and build a relationship with you over time that will last for years to come.